Azande people came primarily from the northeastern part of the Democratic Republic of the Congo and from South-central and Southwestern part of South Sudan. In South Sudan they resided in Central and Western Equatoria State, Yei, Maridi, Yambio and Tombura. Their name means "people who possess much land" but that is the not case in more recent years. Fleeing from South Sudan due to war, they often ironically found themselves as people with no land. In addition to fleeing religious and political persecution, warfare, and starvation, Azande came to the United States also for educational and vocation opportunities or for family reunification. Many traditionally Azande practiced African Traditional Religion, but some emigrating to the United States have turned to Christianity. Many still practice magic and witchcraft. They typically believe that misfortune, death, and the complications of life are the result of mangu, or witchcraft. Witchcraft is believed to be an inherited substance in the belly which lives a fairly autonomous life, including performing bad magic on one's enemies. Because witchcraft is believed to always be present, there are several rituals connected to protection from and cancelling of witchcraft that are performed almost daily. When something out of the ordinary occurs, usually something unfortunate, to an individual, they may blame witchcraft. Many Azande Christians are Episcopalians and Roman Catholic. Pray for Azande evangelical believers to share the message of Jesus Christ with other South Sudan people groups who have yet heard or believed in Christ. 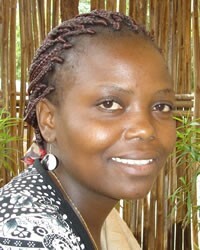 Pray for Azande who still practice traditional religious practices to hear and receive the power found in Jesus Christ. Pray for evangelical Christians to disciple and train evangelical Azande to share the gospel cross-culturally with other Sudanic people groups.